Location: The National Centre for Craft & Design (NCCD). Sleaford, Lincolnshire. Private View 1st Feb 2019. 6 – 8pm. Art works - ‘Total Support’ and ‘Lippy, Excess, Unruly’ by Lucy Brown will be on display there. Ctrl/Shift Private view on the 1st Feb and Ctrl/Shift Curator and Artist walk and talk on the 2nd Feb is part of NCCD’s ‘Celebration of Textiles’ Fri 1 Feb - Sun 3 Feb.
All welcome and all events are drop-in, no need to book. 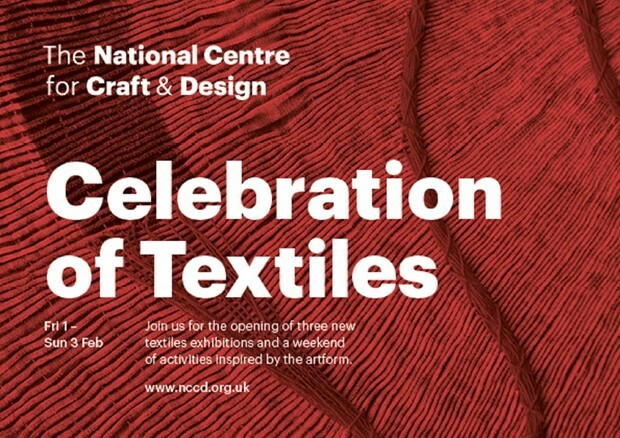 please visit http://nccd.org.uk/events/celebration-of-textiles for more details.